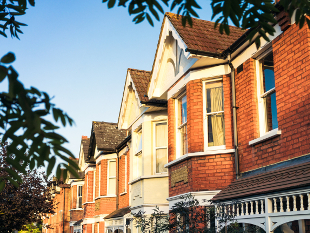 Hounslow Council’s proposal to consult with residents on the introduction of an additional licensing scheme for rented Houses in Multiple Occupation (HMOs) was approved at Cabinet on 22 January 2019. The council’s additional licensing scheme for HMOs, due to expire in May 2019, could be extended for another five-year period. The extension of the scheme will enable the council to continue to improve housing standards in the private rented market and will help to tackle rogue landlords. The proposed borough-wide scheme covers a greater number and type of HMOs than both the national mandatory licensing scheme and the council’s existing scheme. The proposed scheme will apply to shared HMOs with three or more persons. The previous two-story requirement has been removed and single-story HMOs will be included. Rented properties that are subdivided into self-contained units without the appropriate Building Regulation requirements will also be included. Under the current mandatory licensing scheme, the council is unable to exercise licensing controls over poorly converted privately rented flats. The proposal of the additional licensing scheme would introduce higher standards and conditions to strengthen the council’s powers to eliminate dangerous and overcrowded accommodation and bring rogue landlords to account. This will include larger room sizes, limits on the numbers of people sharing facilities, higher standards for property maintenance, tenancy management and controlling antisocial behaviour. The council would like to hear residents’ views on the proposal to extend additional HMO licensing for a further five years and as to whether the scheme should apply to all parts of the borough or specific areas only. The consultation is now live until 3 April 2019. Residents can complete the survey online or contact Housing Enforcement for a paper copy. To read full cabinet report, visit the Hounslow Council website.